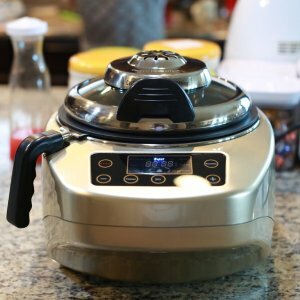 Ropot.com offers the The Intelligent Robot Cooker for $219 via coupon code DEALMOON60 . Features: Revolutionize your cooking with the advanced technology of ROPOT, the new kitchen appliance with 8 convenient, pre-programmed functions. Assemble your ingredients, add to Ropot, close the lid, and select Stir-Fry. Then sit back, relax, and wait 3 minutes or so while Ropot does the cooking for you.